This blaze started because someone wanted to burn the saloon. 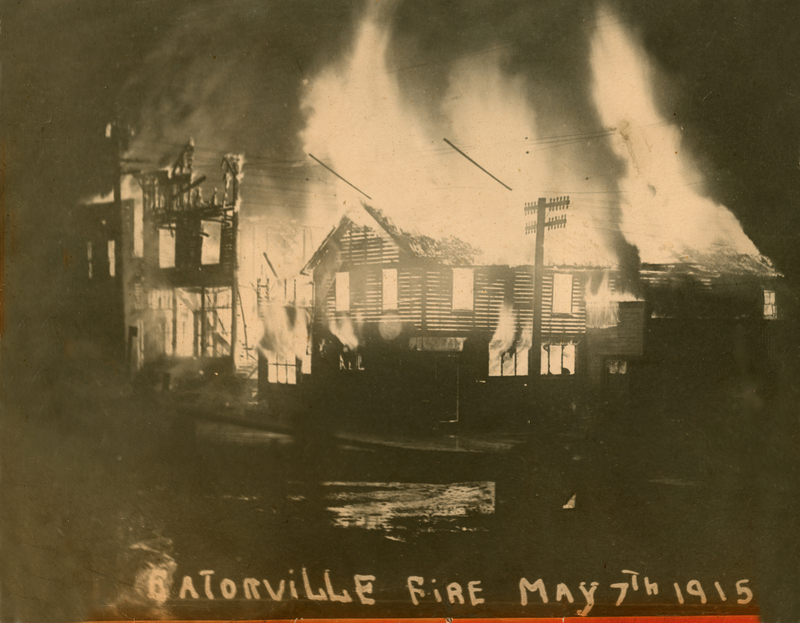 The man missed his target and lit G. B. Ingersoll’s hardware store on fire. This is incredible. Who has the guts to remove dynamite in a FIRE? I would like to think I would have been brave enough to do something like that — for my town and its people. But in truth, I would have been in the bucket brigade. It also burned the barber shop and the Mashell Restaurant south of the hardware. The barber shop became part of our family history when a very young Frank Van Eaton ,wagon & his out of control team crashed into the shop. The accident investagation indicted it was probably caused by a someone showing off to some young ladies in the vicinity. The horses where a little banged up, the buiding definatly needed fixing along with someone’s ego. These buidings were’t rebuilt after the fire.The NE cornner of Mashell & Groe (now Center) was vacant into the 1920’s.